Send the right message with branded emails that get you noticed! emailSignatures are handcrafted to fit your business and branding needs -- with live links to drive customers to your website, social media...and a live call me button! Get five Signature Samples sent right to your inbox by entering your email address! See how easy it is to send a high-impact message using professional, customized messages with a customer signature that makes you stand out! No drag and drop designs here! Every design we start with a blank page and beuild the design to match your branding. All images are saved in high resolution to ensure they look crisp on modern devices. Our stationeries are designed and built to look and function great on phones and tablets. 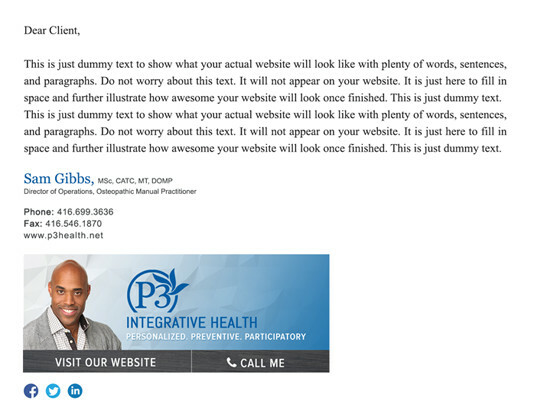 Drive traffic to multiple pages on your website with the ability to add several links to your stationery. Besides the designs being built to look beautifully crisp on mobile devices, they are also functionable too! We give the user the ability to call you at a click of a button! emailSIgnatures is so versitle that you can use it almost anywhere! Gmail? You got it! A desktop version of Outlook? You betcha! Check out our compatibility list now! 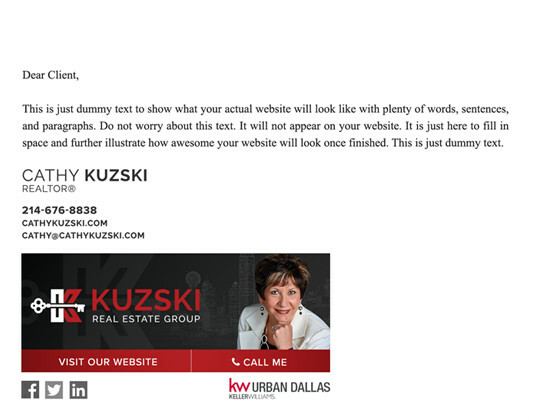 Send the right message with branded emails that get you noticed! emailSignatures is completely custom designed to fit your business and includes live links to drive customers to your website, social media pages...and even a call me button for when they view it on their phones! Have a team? No problem! Brand the entire team with the beautiful design with their information on it instead....for a fraction of the cost! My emailSignature is absolutely amazing! 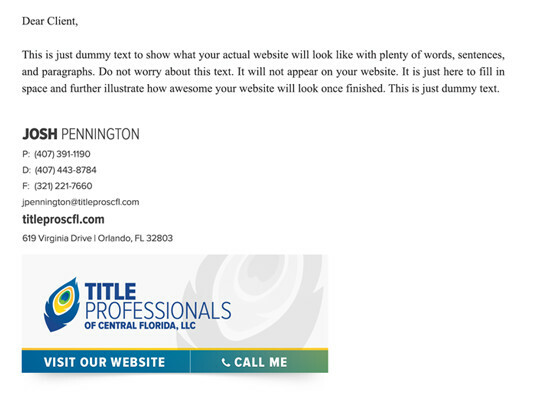 My clients have given me excellent feedback. I love the professional look with every email I send and every email I respond to. I use it all the time, with every single email I send and I absolutely love it. Thank you emailSignatures.com!